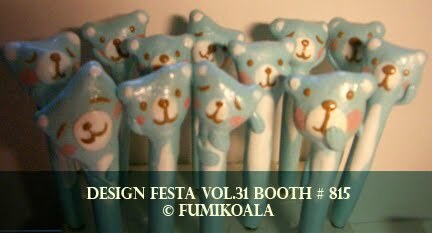 fumikoala illustration: CLAY CLAY AND CLAY!!! 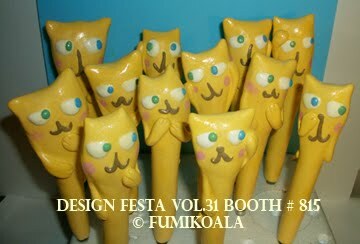 I finally finished making the clay artworks!!! 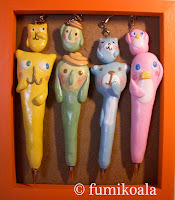 They are the pens, accessories for the cell phones, and some clips. 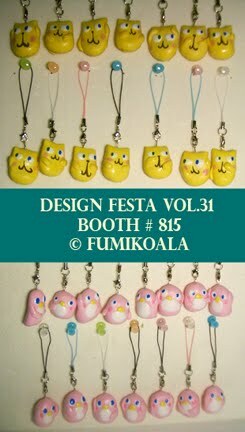 They are for the Design Festa vol. 31 on May 15th and 16th! 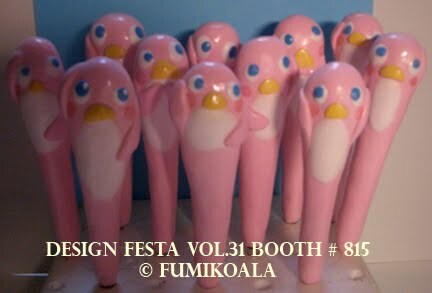 The pink one is the "Pinguin" as pink penguin from my children's book. I changed the eyes, so it looked different, but it's him! 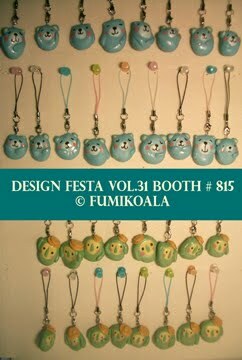 and the light blue one is "Kuma-kun". 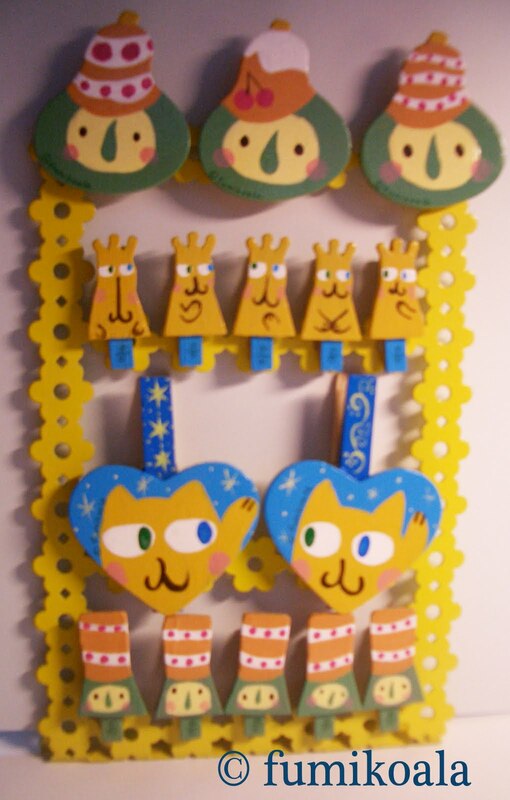 I made this bear character when I was in elementary school... I just remembered him recently. 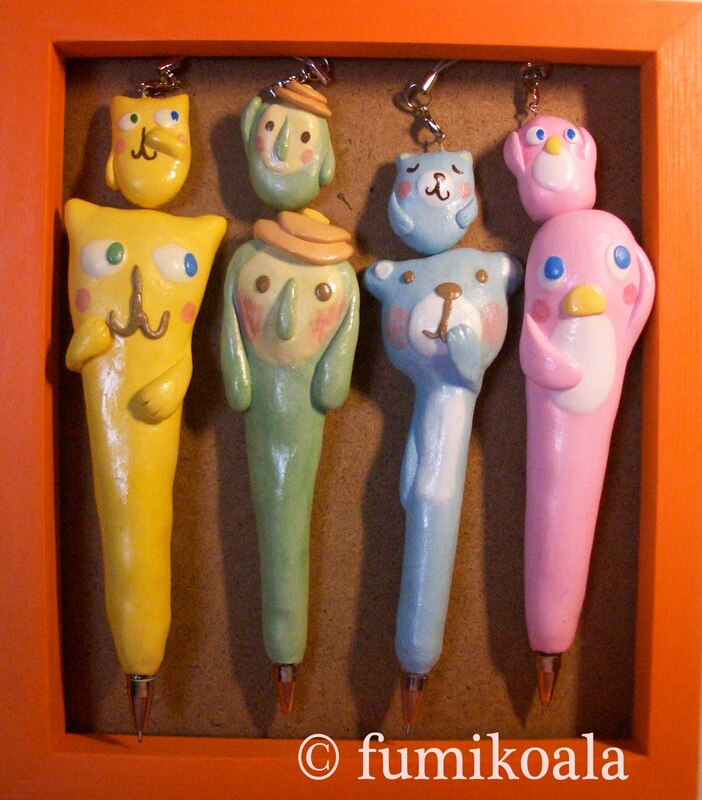 The last one is Magda the cat. The name is from my friend who loves the cats. The cat has the odd eye, one green and the other is blue. She is always thinking something funny... and when she thinks of the good idea to make people laugh, the third ear will come up between two ears.